JNCSAR Project Oriented Chemistry Fellowship 2019. As a part of its Science Outreach Programme, Jawaharlal Nehru Centre for Advanced Scientific Research conducts a Project-Oriented Chemistry Education (POCE) programme, for students studying in B. Sc first year (PCM) to explore their academic potential, stimulate a deeper interest in mathematics and infuse creativity and scientific temper amongst undergraduate students. Students presently studying in the 1st year of three year B.Sc programme only (preferably with Physics, Chemistry, Mathematics, (PCM) combination). Fellowship: The total number of Fellowships offered will be up to 11. A scholarship of Rs. 10000/- per month will be provided. Selected students will be given an opportunity to attend lectures, participate in laboratory projects and research. The programme will be conducted during the summer vacation for a period of 6 to 8 weeks over three consecutive summers. Selected students are expected to commit to the programme for three years and successful candidates will receive a Diploma in Chemistry from the Centre. Specialization in advanced materials will be possible during the last year. Those who complete the POCE programme with outstanding performance will be eligible for admission to the MS-PhD programme in the Centre subject to satisfactory performance in the interview. 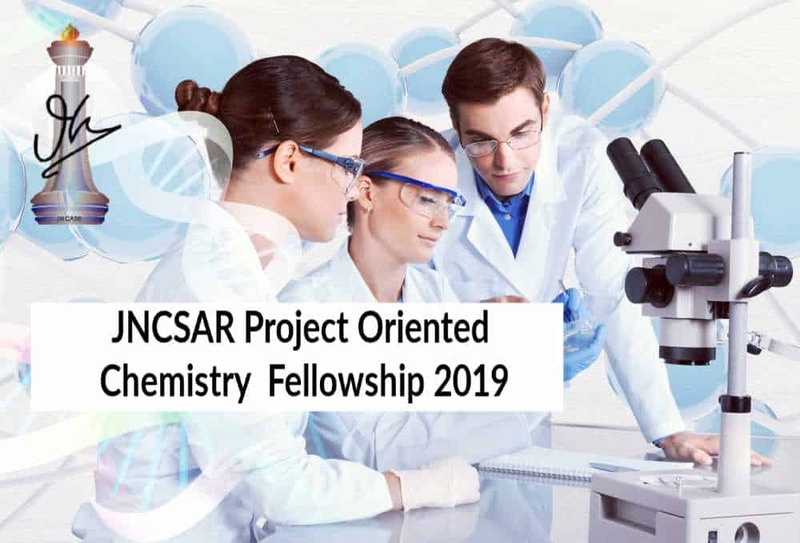 The list of selected candidates will be declared on the JNCASR website http://www.jncasr.ac.in/fe/poce.php in April 2019. The candidates will be intimated post and by email. Note: Selected candidates must indicate their acceptance within two weeks of the email sent or else it will be presumed that they are not interested in joining the programme and the offer will be canceled automatically. Any correspondence after the cancellation will not be entertained. Research, Jakkur. P.O., Bangalore – 560 064.